Another great out of print western cotton fabric. 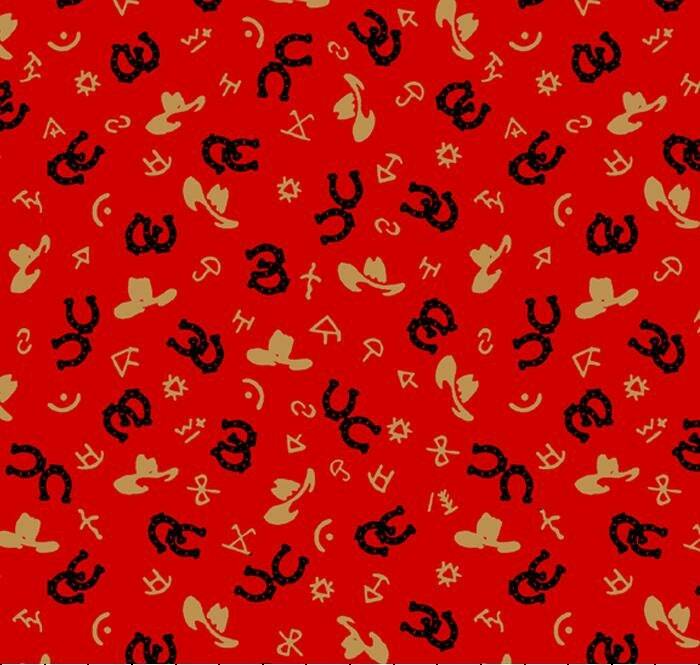 A deep red background with black horseshoes, tan hats and brands. A great line of fabric from David Textiles which is now out of print. Get yours today before it is gone! All fabrics from The Quilted Nursery Fabric Store is cut directly from the bolt in continuous yardage. We now offer fractional yardage cuts for your shopping convenience. All shipping overages are refunded on shipment of fabric with same day shipping. FREE SHIPPING on all orders totaling $50.00.